Our company has established itself as a leading manufacturer and supplier of superior quality Industrial Model. We use the perfect detailing and color coding in order to impart the originality to the model. These are available in quick turnaround time. These models are normally used at trade shows or exhibitions, but also find application for display in board rooms or reception areas. 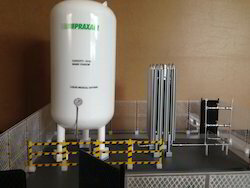 Our company has earned great laurels as manufacturers and suppliers of Oxygen Plant Model. In its normal atmospheric condition, air is a colorless odorless gas. Air which is normally in gaseous state can be liquefied, liquefied, as steam from gaseous state can be liquefied , as steam from gaseous state can be condensed to form water in liquid state. We represent the process in this model. 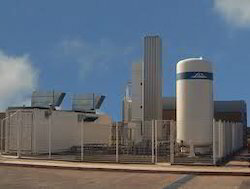 Our company has earned great laurels as manufacturers and suppliers of Working Model of Thermal Plant. These models from our end are highly demanded in the market by our esteemed clients. This model clearly shows the entire structure with all the transmission and distribution lines displaying the power grid in an utmost detailed manner. Looking for Industrial Plant Models ?